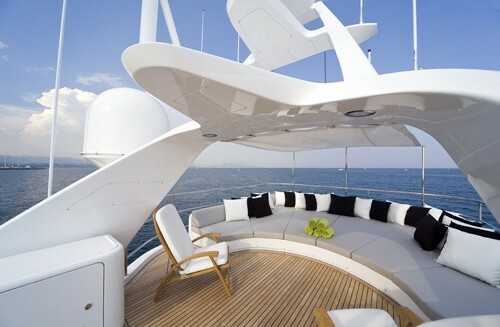 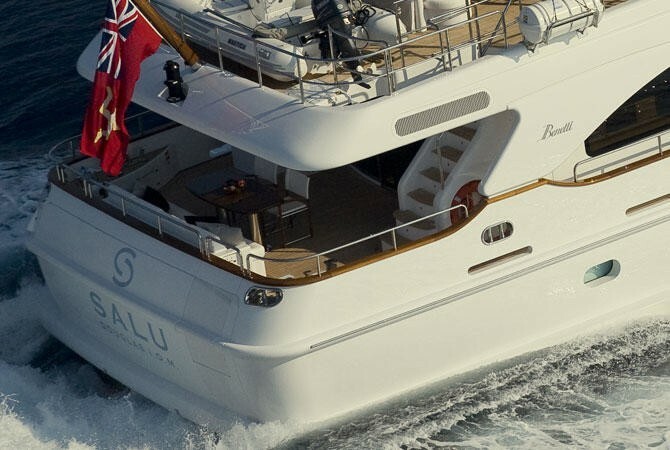 Benetti Classic SALU is professionally managed by 6 excellent crew. 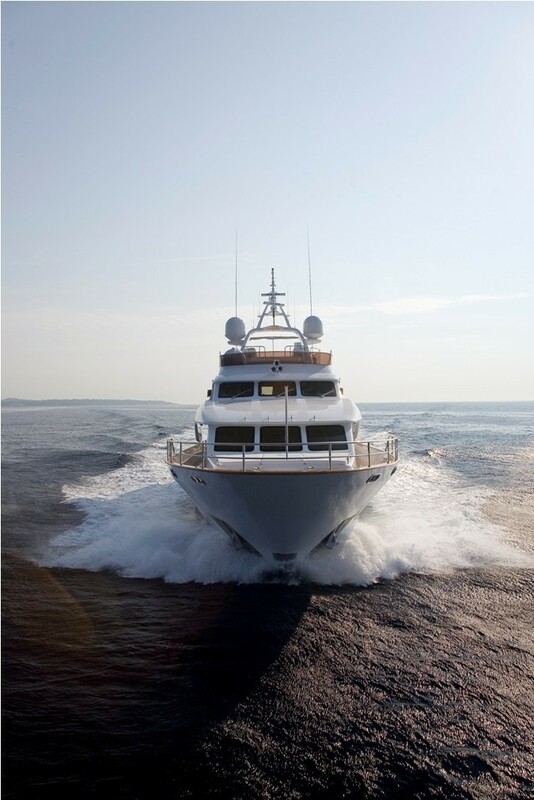 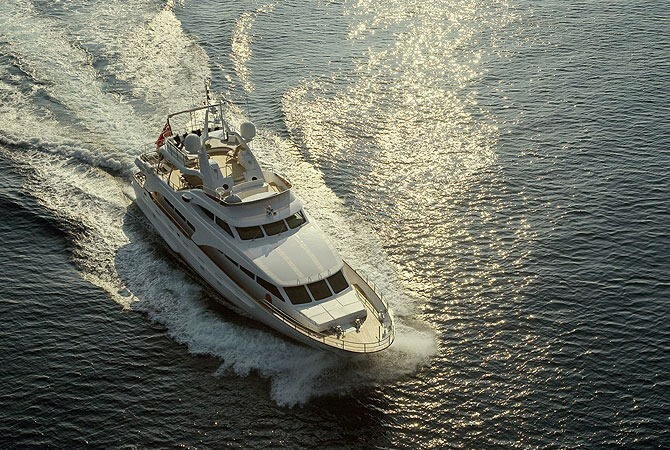 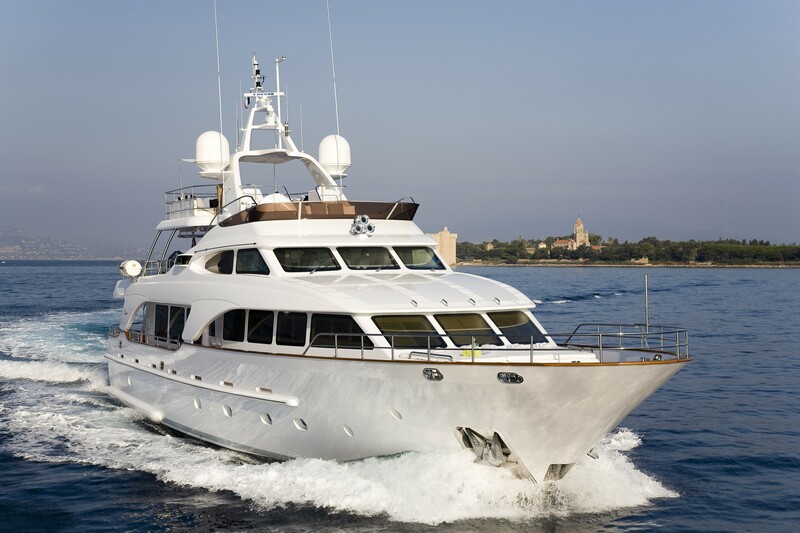 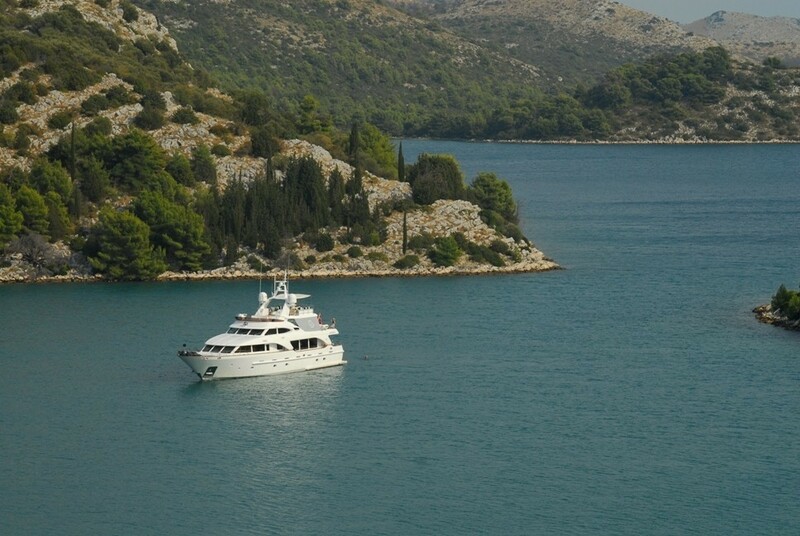 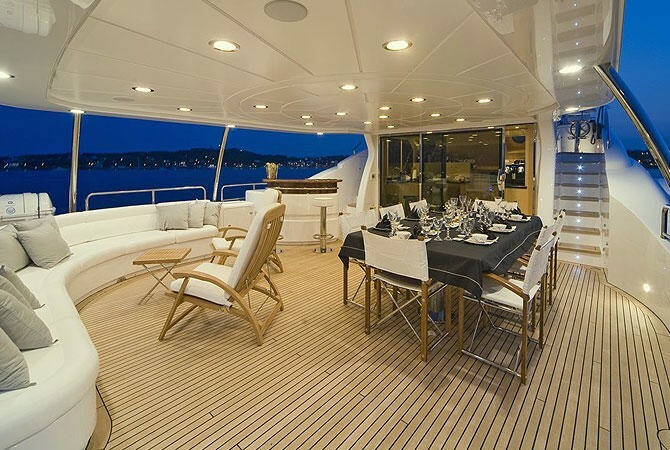 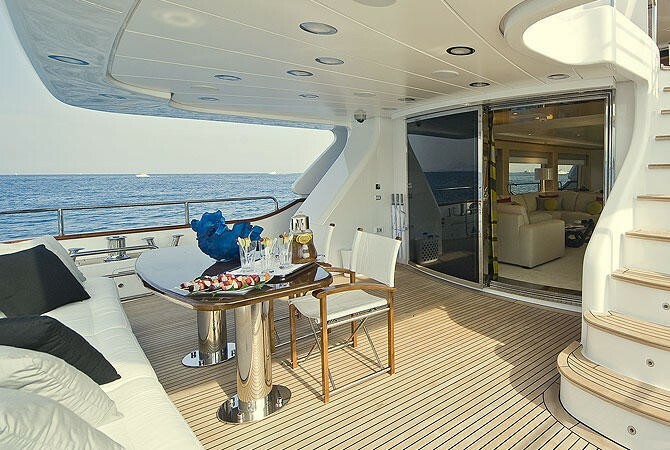 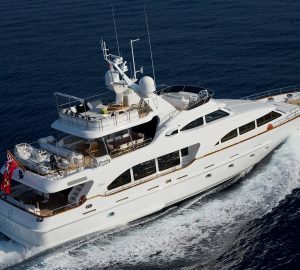 She is fully equipped with a large range of amenities including full entertainment systems, first rate communications systems and plenty of water toys. 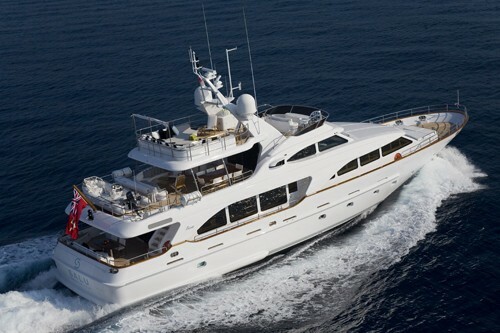 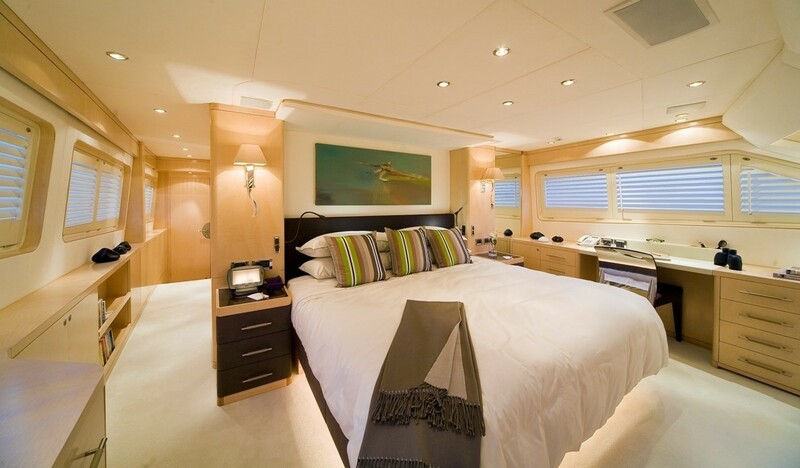 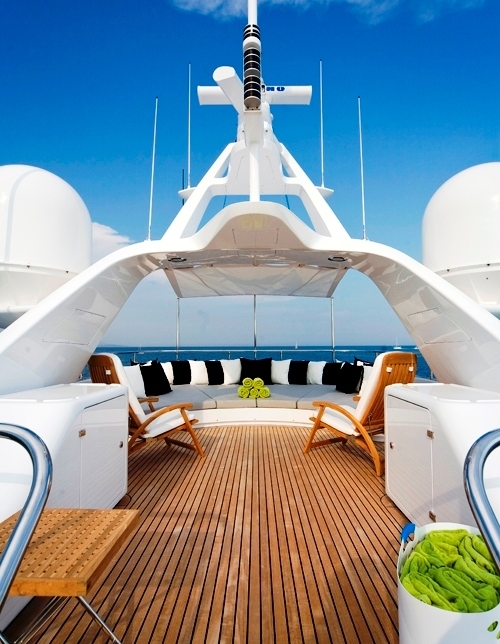 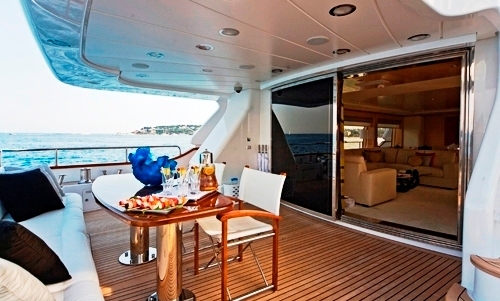 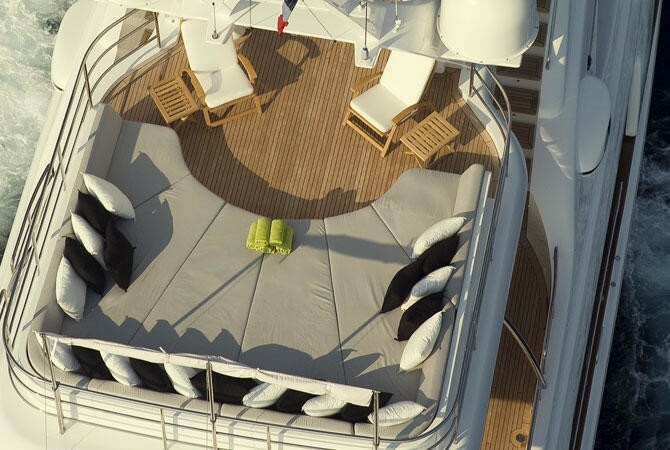 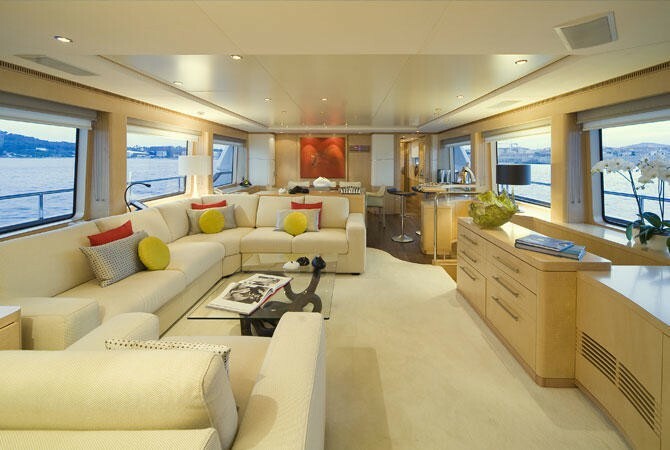 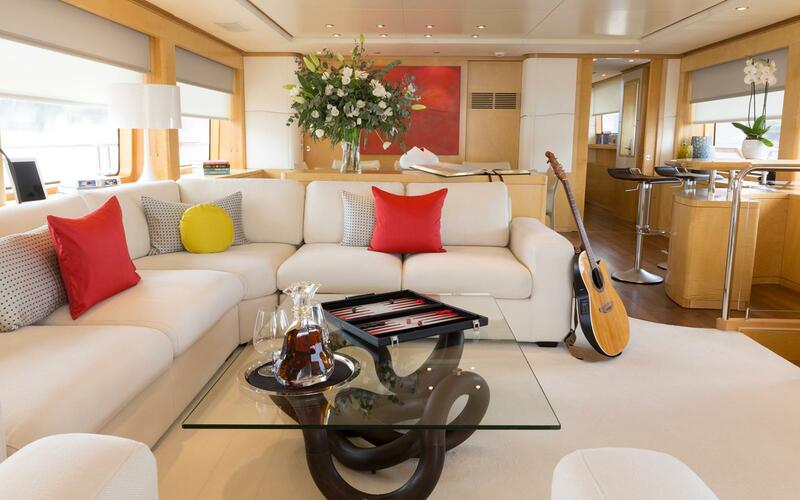 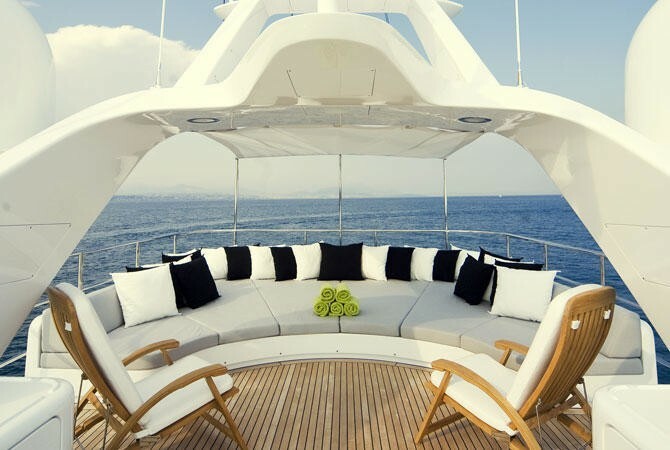 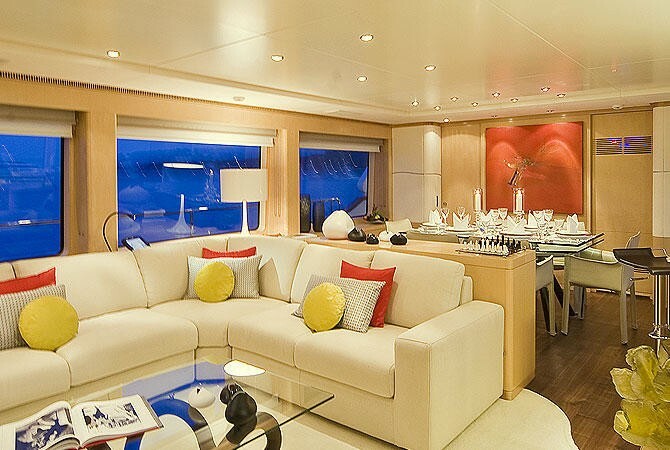 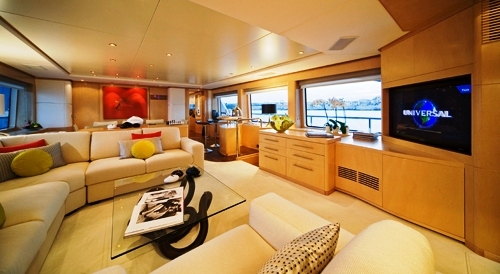 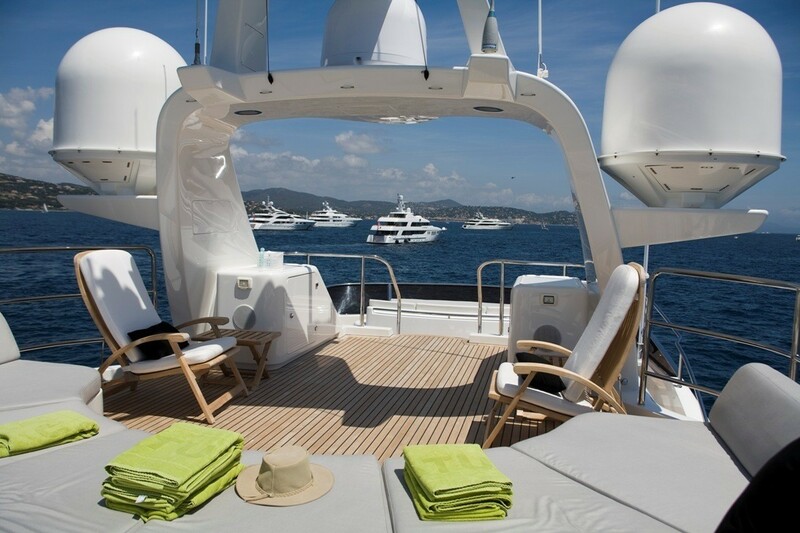 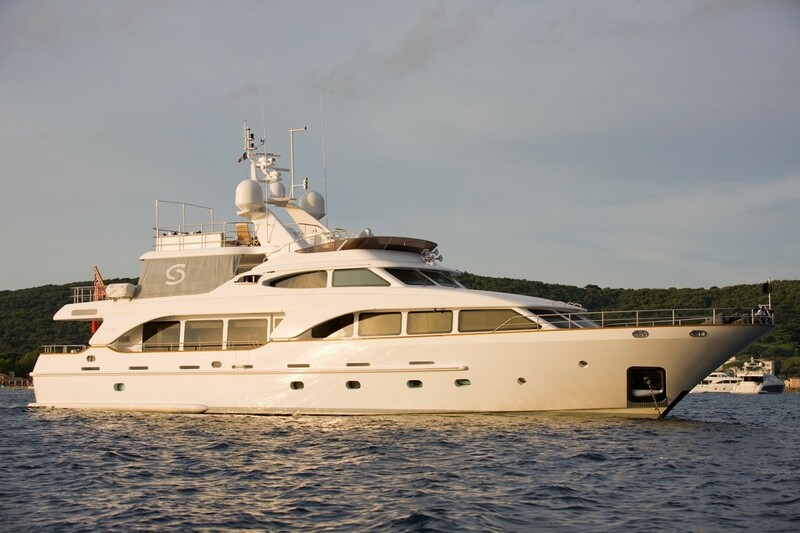 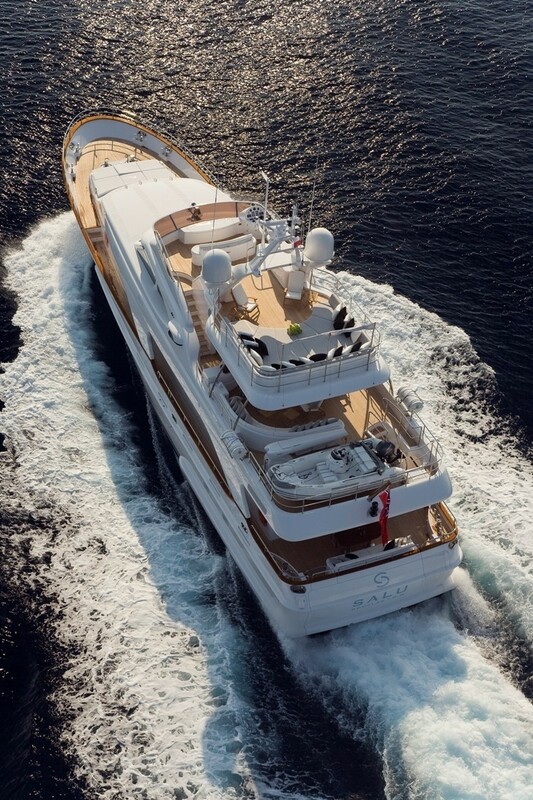 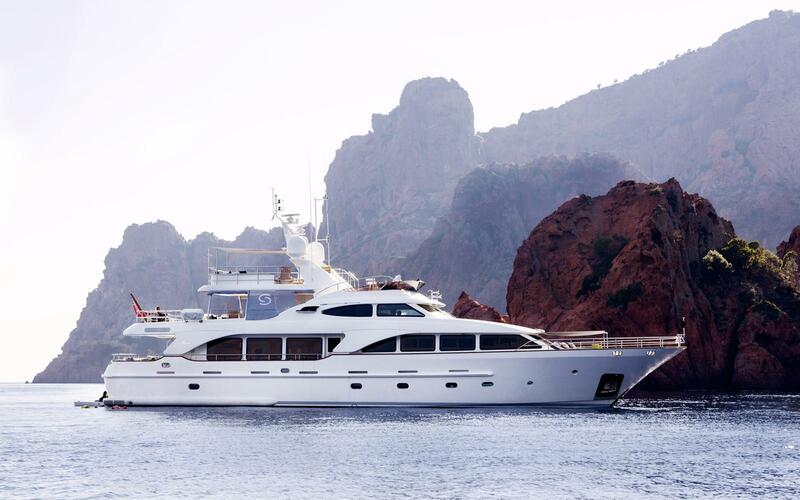 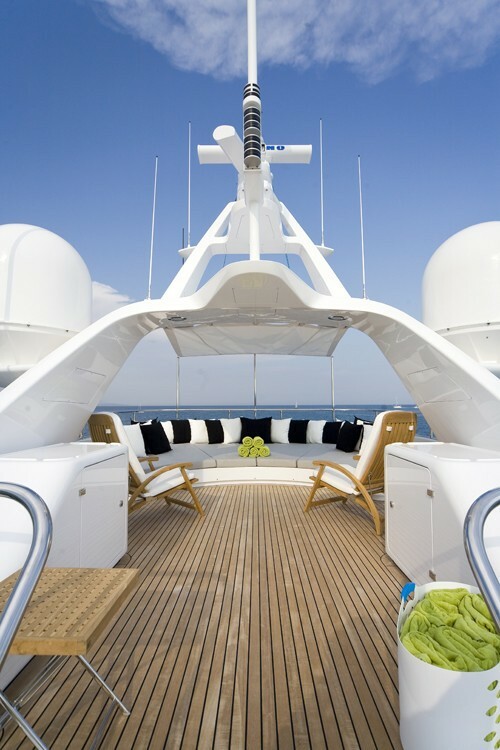 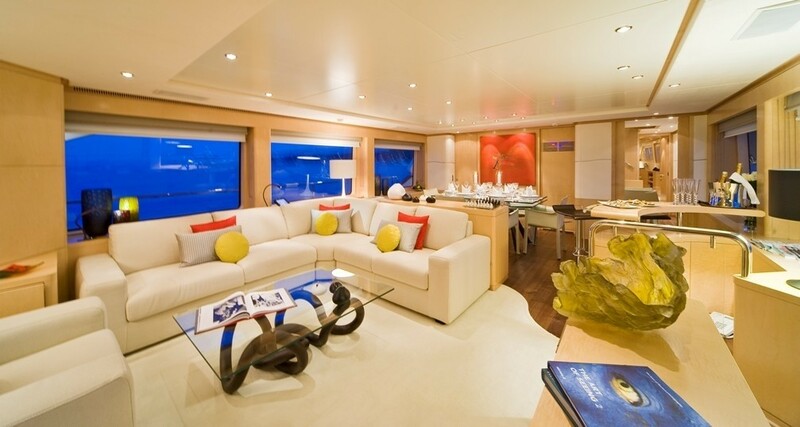 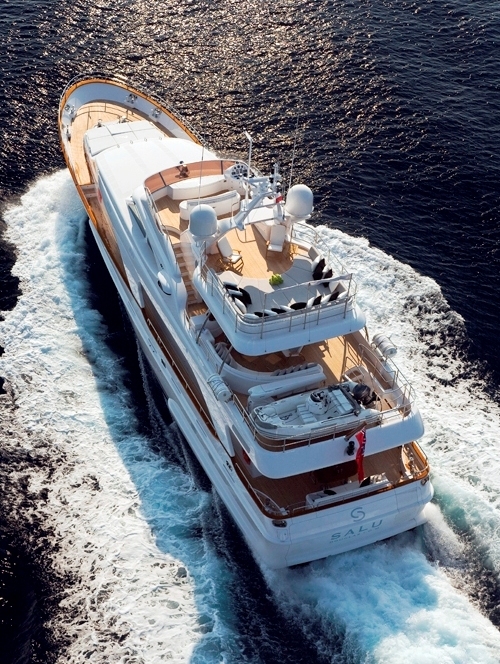 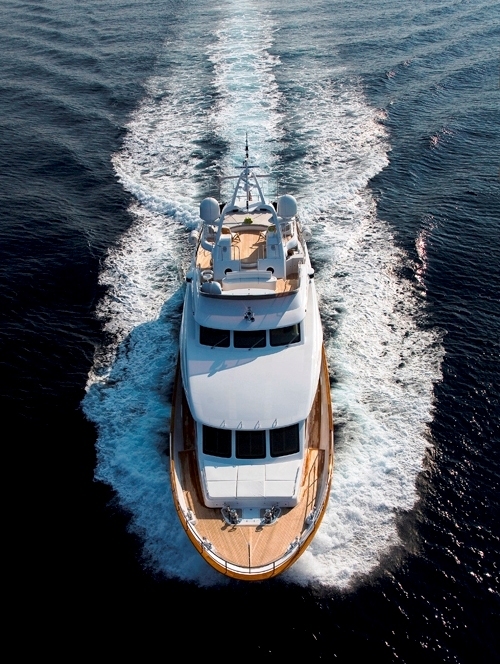 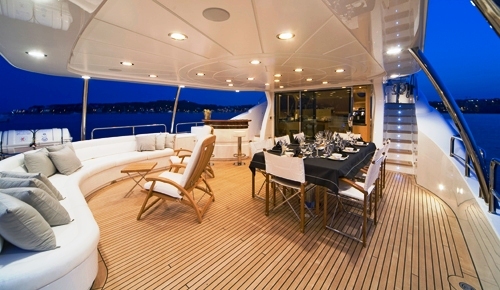 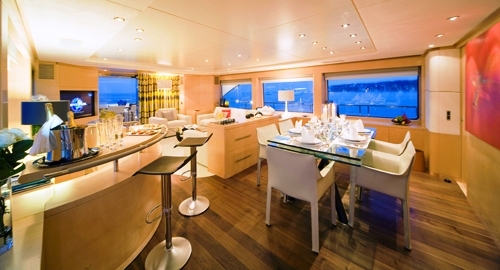 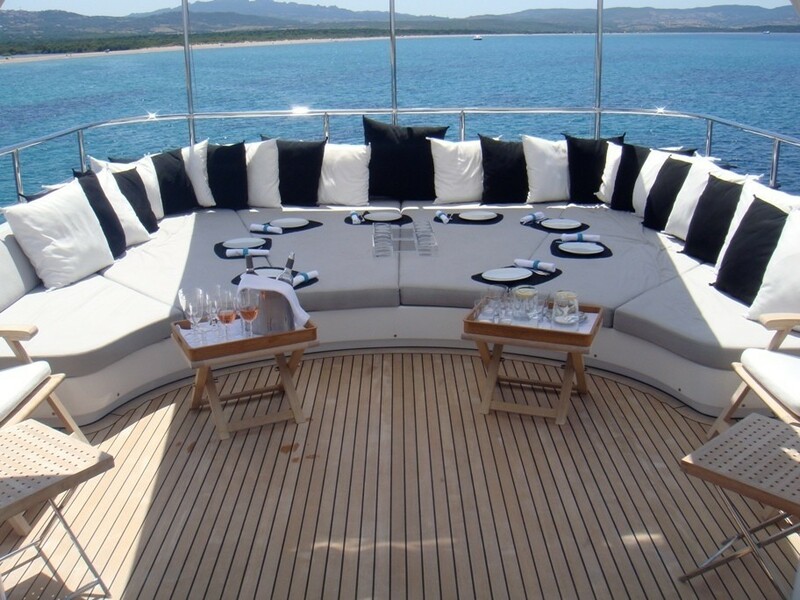 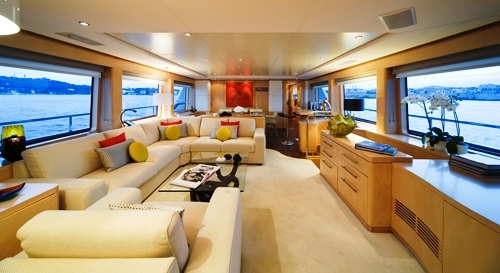 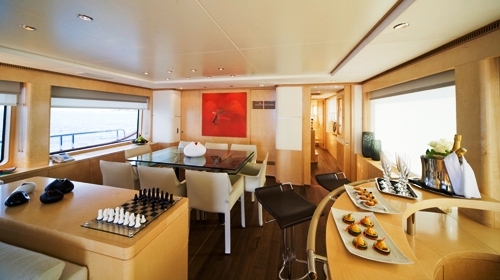 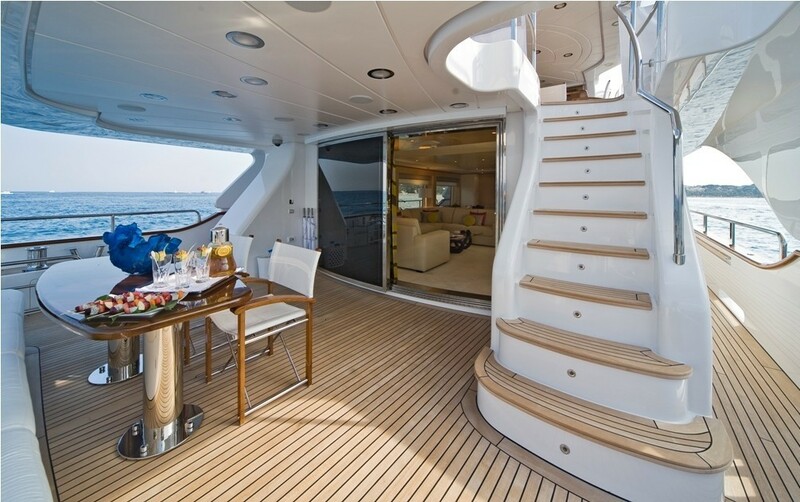 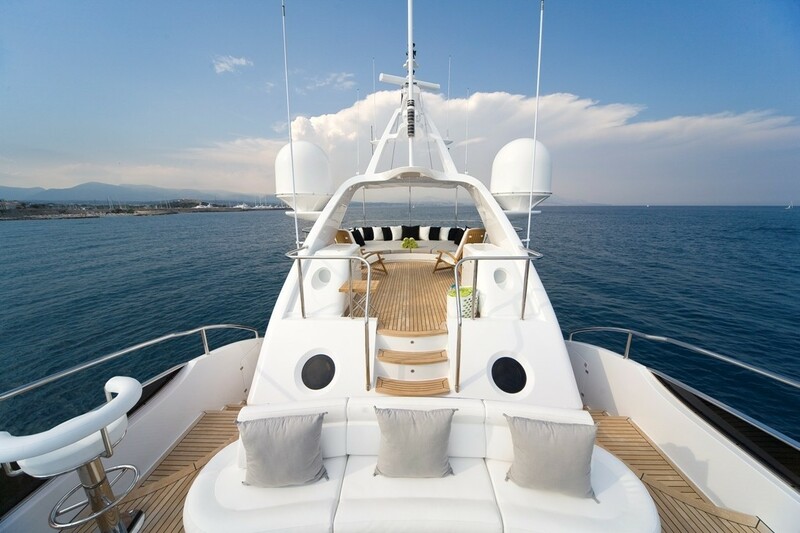 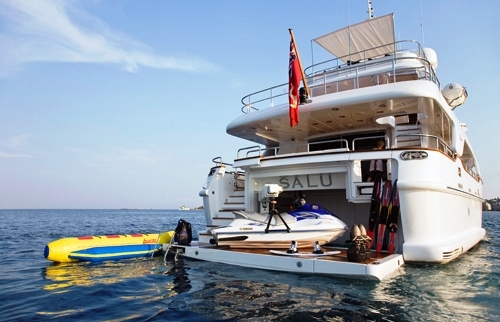 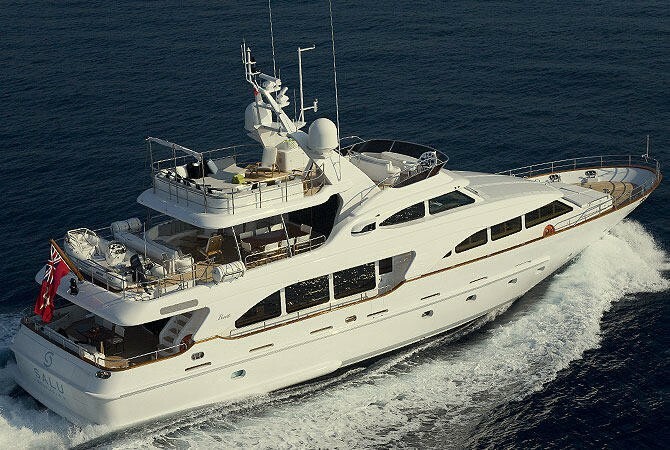 The Benetti Classic 100, SALU offers spacious accommodation for 8 guests. 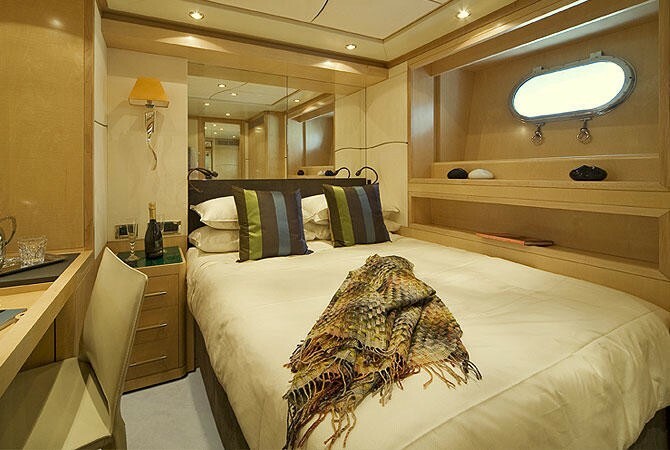 The Master stateroom is located on the main deck and the VIP cabin, a double and a twin cabin with an additional Pullman bunk are all located on the lower deck. 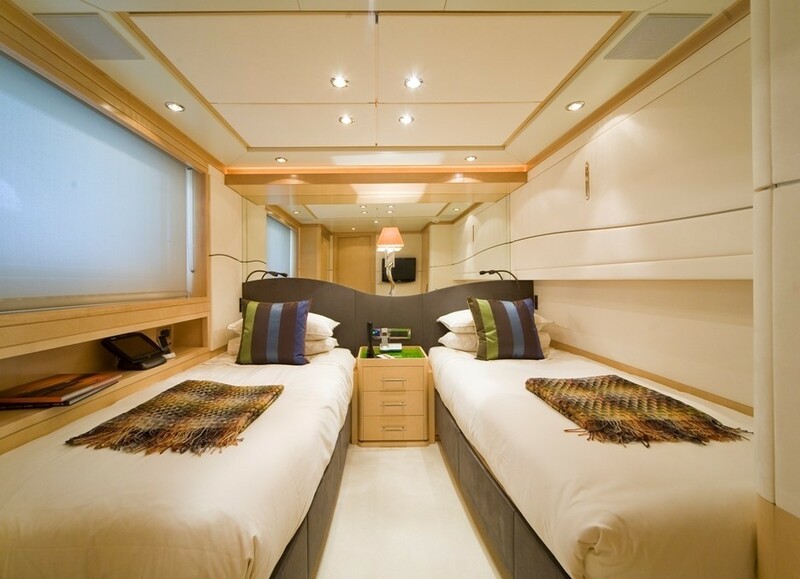 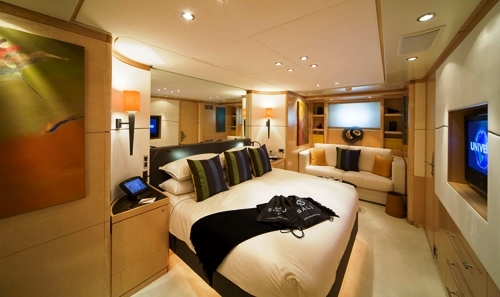 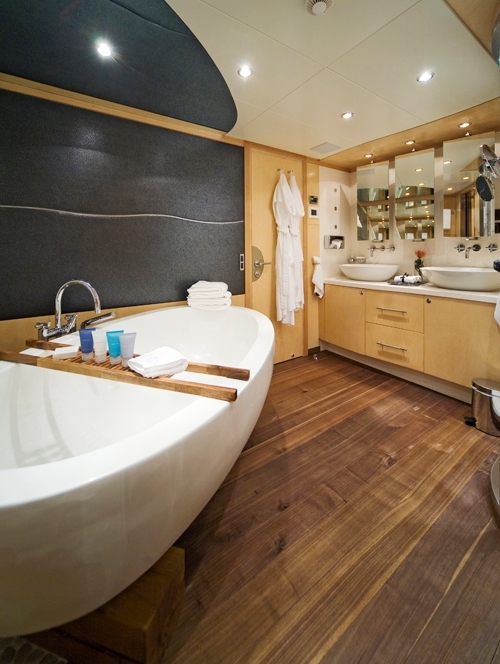 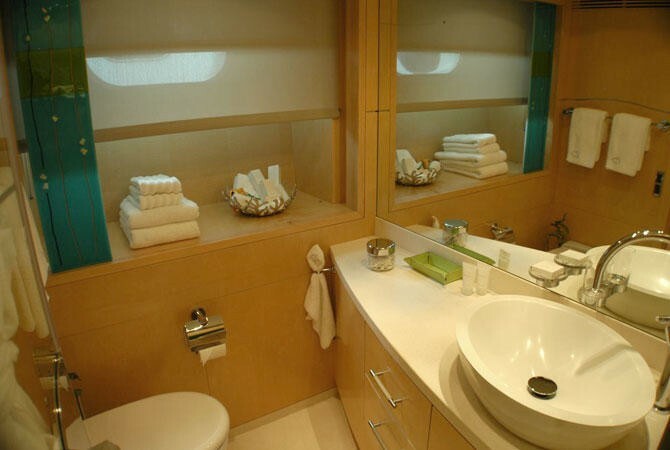 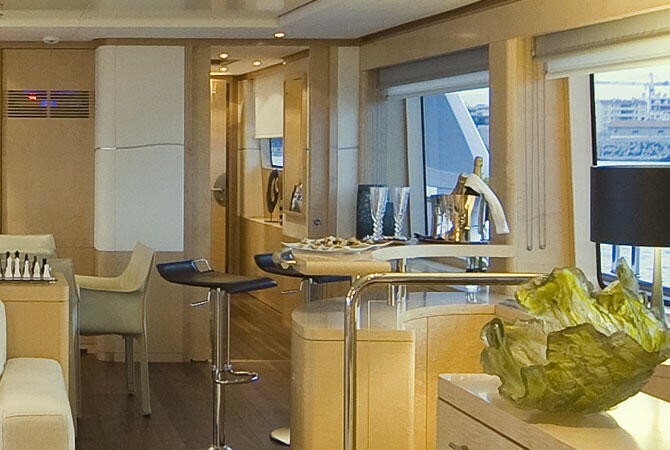 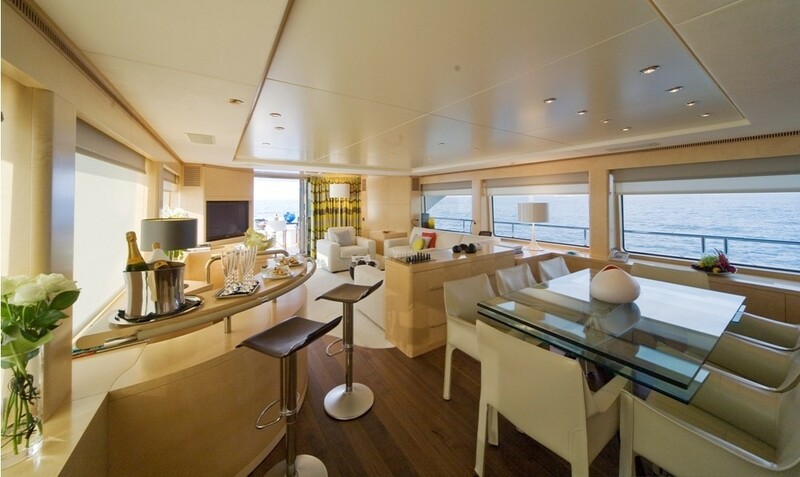 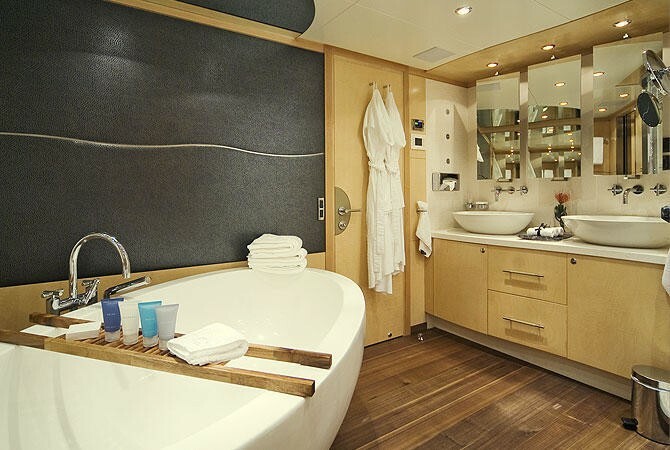 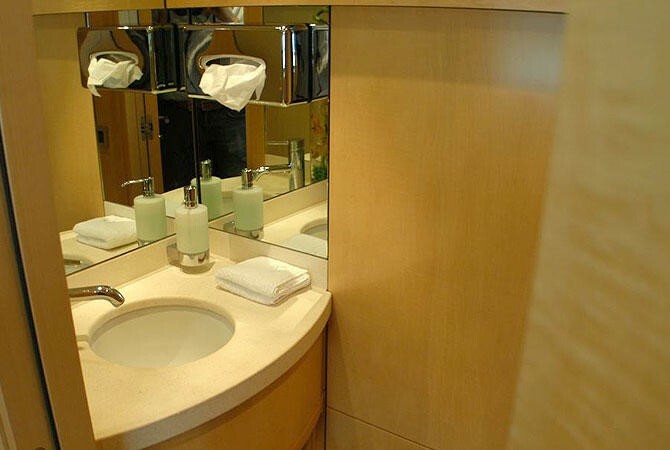 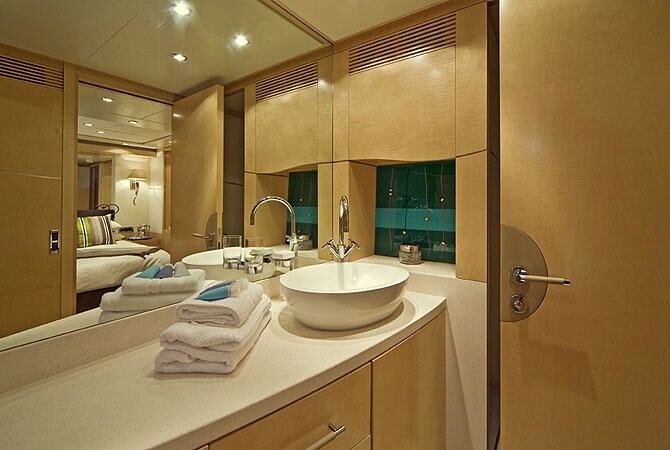 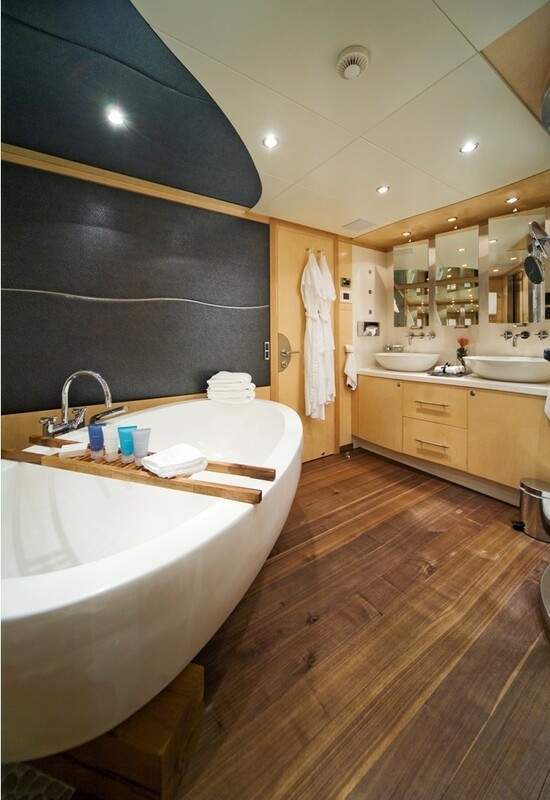 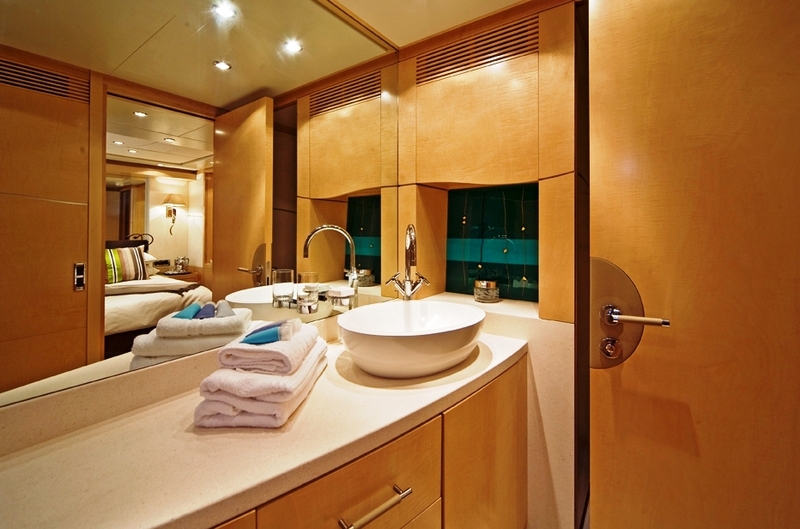 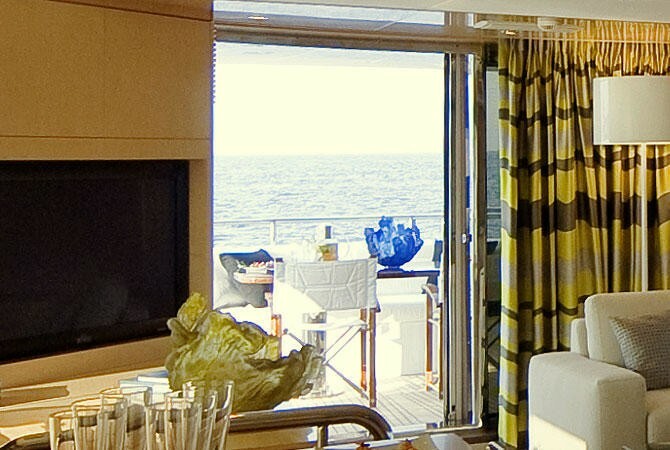 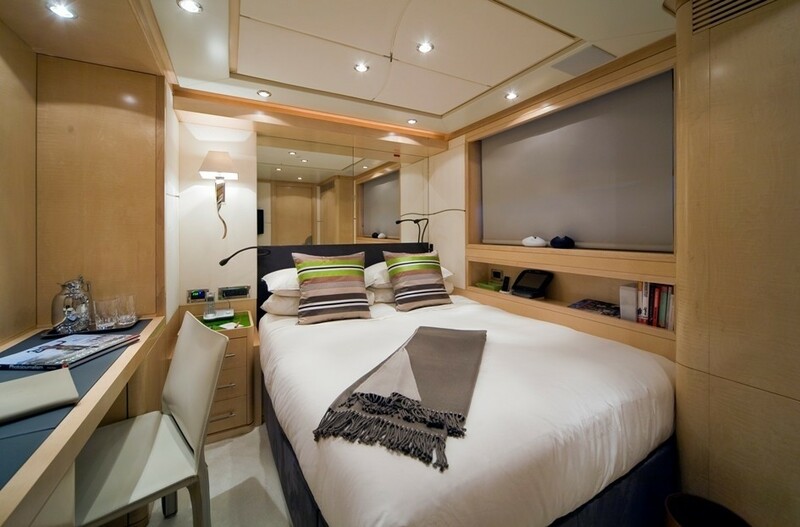 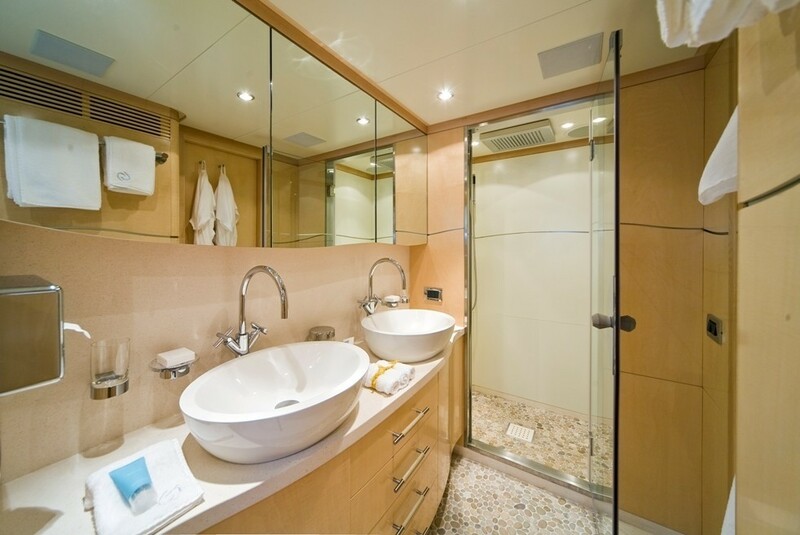 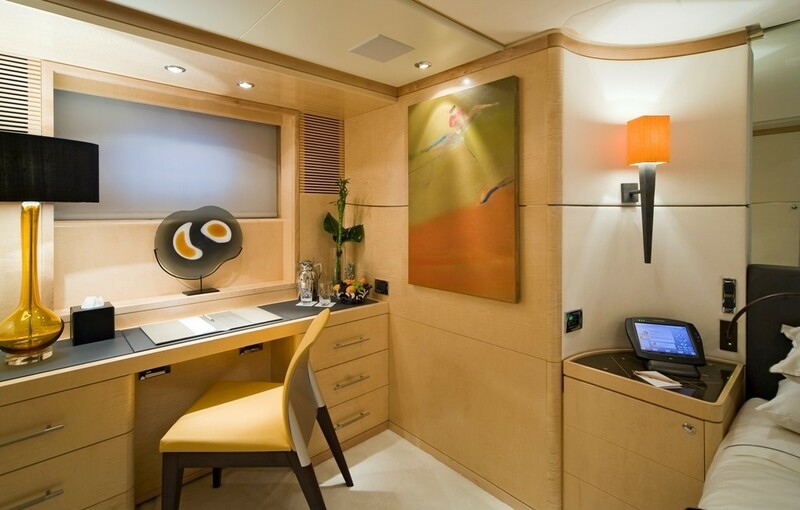 All cabins are fitted with entertainment systems and ensuite bathrooms. 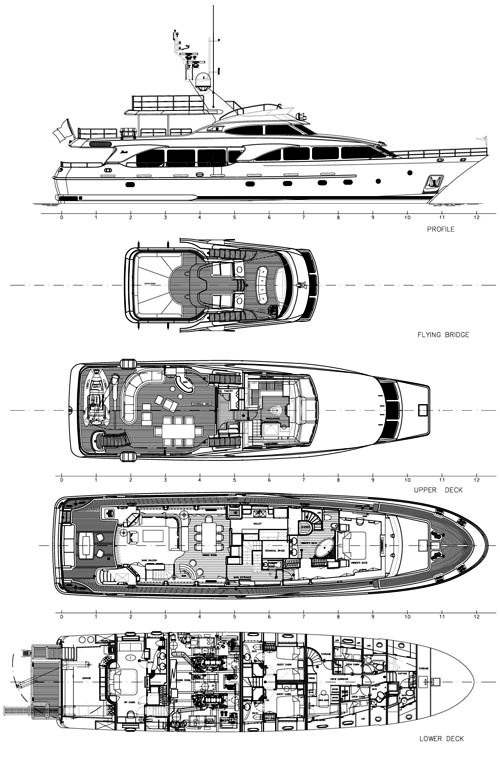 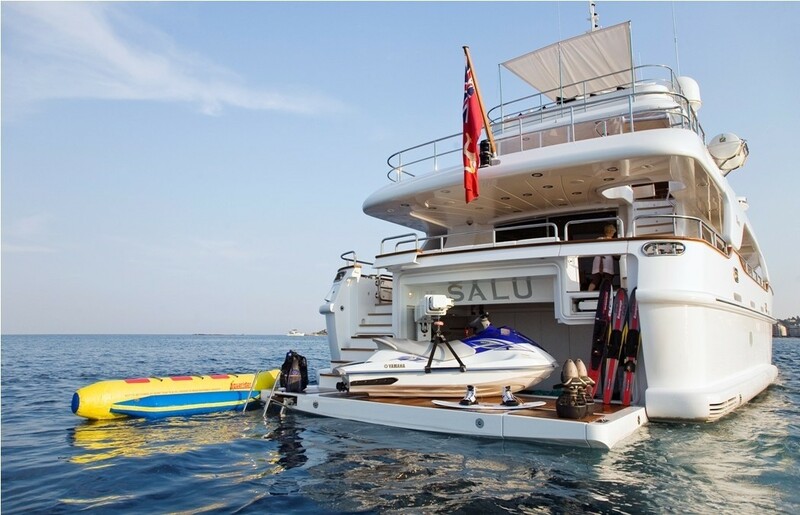 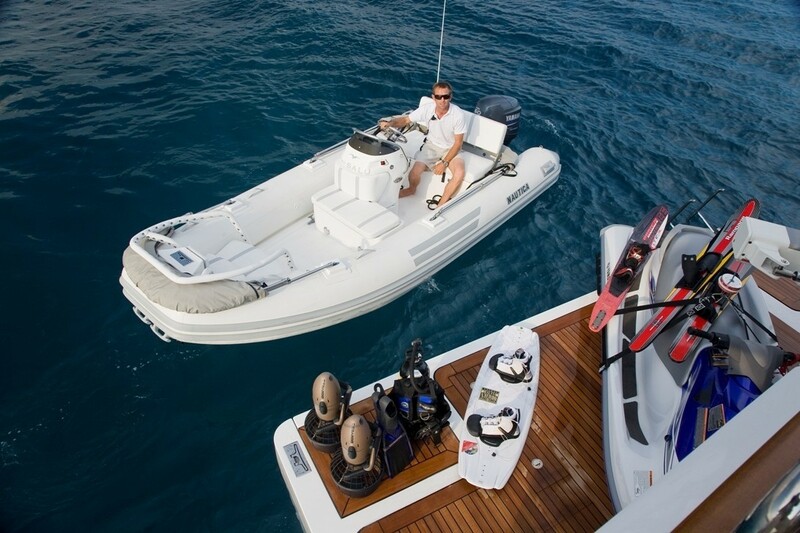 The Benetti Classic 100, SALU offers the following tenders & toys: A 5.2m Nautica Tender, a 3 person Jet ski VX 1100cc, a 3 person Banana, Kayaks (one 3 man, one 2 man), Donuts (two 1 person), Sumo tube, Wakeboard, Waterskis (adult and mono ski), two Sea Doo under water scooters, Fins, Masks, Snorkels, wetsuits, Safety equipment including vests and helmets, Fishing rods (rods and reel as well as assorted tackle), beachtoys (Volleyball, Soccer ball, Rugby ball). 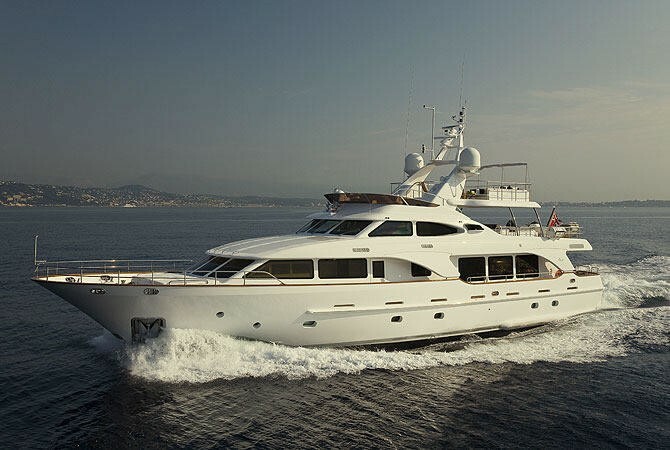 Communications equipment onboard includes: GSM Telephone + fax, 24hours, 7days internet connection via GPRS or Fleet 55. 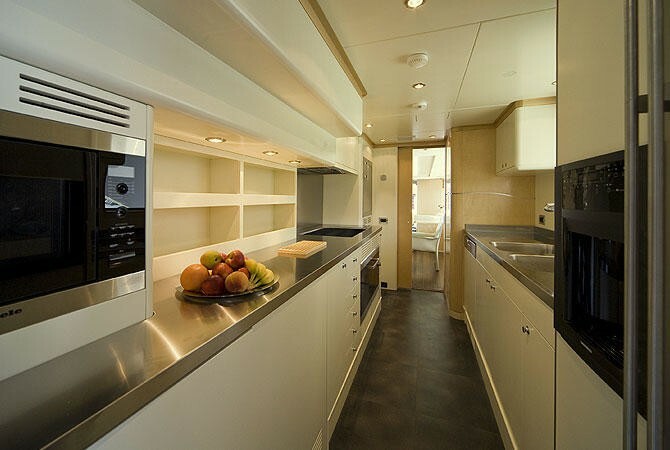 Audio Visual Equipment includes Kaleidescape system with 200+ movies and hundreds of CD's, SKY TV, Ipod dock stations in all cabins, DVD/CD player in all cabins, Local radio in all cabins, Speakers throughout the vessel as well as LCD in Main saloon and all cabins.